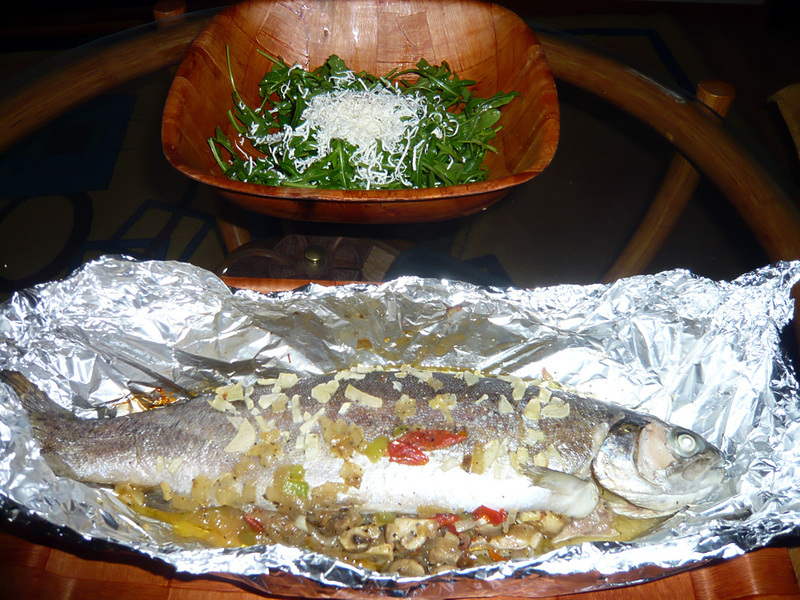 In a baking dish, put two tablespoons live oil, then add the fish fillets. Salt them according to your preference. 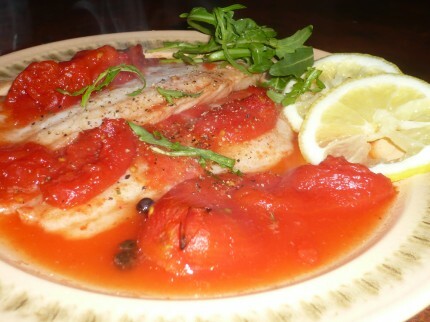 Mix 1/2 pound canned tomatoes with 1/2 cup of water and a little bit of salt and pour it over the fish fillets. 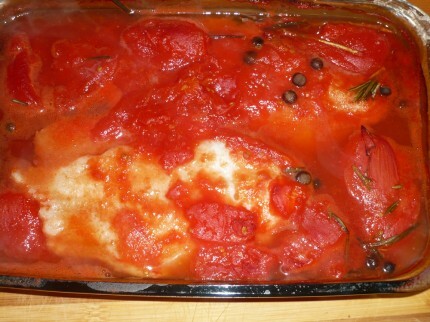 Sprinkle fresh rosemary and allspice berries all over the food. Bake it uncovered, over medium heat, for about 30-40 minutes. 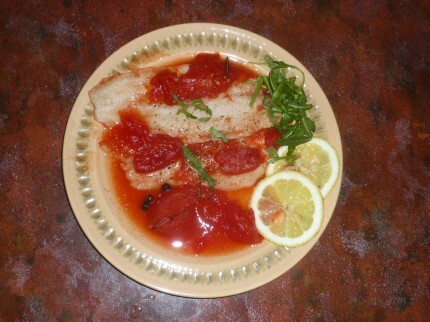 Serve the fish fillets with lemon slices and a few rucola leaves. A little freshly ground black pepper will always add a nice visual effect to the plate and an interesting flavor to the food.